Are you looking for the seclusion of a mountain getaway without the ruggedness of the woods? 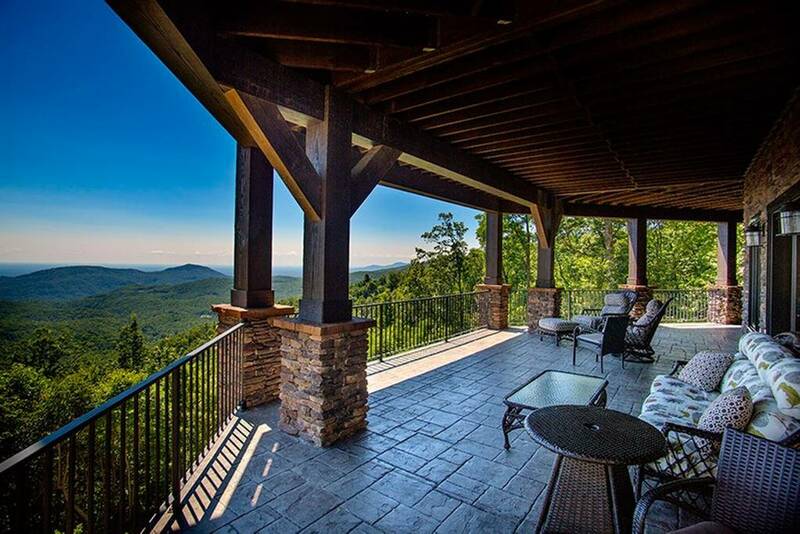 This beautiful, extravagant mansion in the mountains is perfect for any large group looking to relax for $525/night. Located in a golf club resort, this home is six miles away from downtown Asheville, so you’ll still be close to enough reap the benefits of city-life! 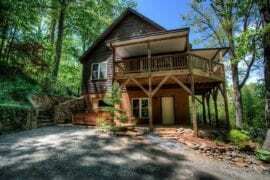 Just twenty minutes outside of towns sits one of your next favorite Asheville rentals. This colorful and cozy home features extensive timber work, vaulted ceilings, and a front porch fireplace to spend your nights next to. For $440/night, get access to not one, but TWO mountain towns and all the nature, restaurants, and breweries they have to offer! Warm up by the stacked stone hearth, take a dip in the outdoor spa, or play a round of pool for $788/night. 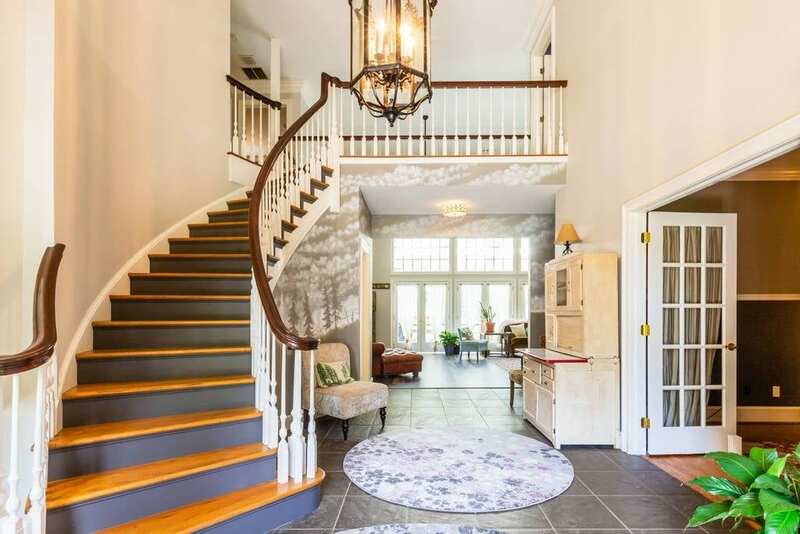 All of this is possible right in the comfort of this two-home estate! Storybrooke Place is a beautifully landscaped rental featuring custom stoned patios, gourmet kitchen, and raised fire pit—so many amenities that you’ll never want to leave the property! But if you choose to, it’s just a quick, twenty minute drive to downtown Asheville. 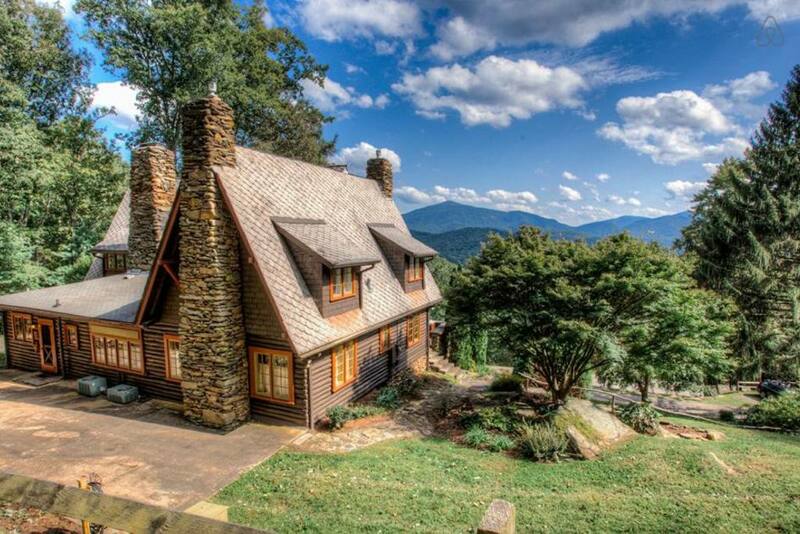 This Asheville rental is not for the faint of heart! Custom-designed to appeal to the adventurer at heart, this mountain top compound features on-site hiking trails, zipline, and plenty of decks to get the perfect panoramic views of the vista. Oh! And did we mention that it has its own Rapunzel Tower? 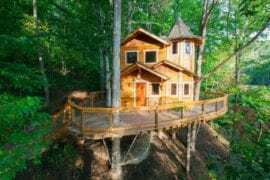 Designed by a local artist/builder, this magical treetop adventure can be yours for $350/night. 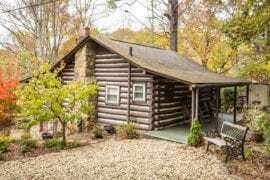 Welcome to the log cabin of your dreams! Sitting at the edge of a cliff, this glorious home seems to defy gravity. Boasting an upper and lower deck, you’ll have access to some stunning views of the Appalachian Mountains. And the interior is just as impressive! 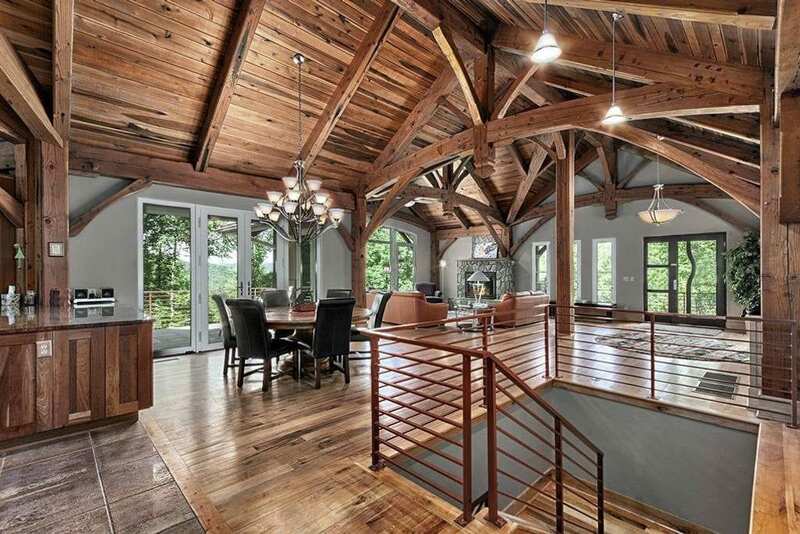 Each room features unique timber work ranging from its vaulted ceilings to its handcrafted kitchen island. For $606/night, you too can feel like a mountaineer stumbling upon paradise! 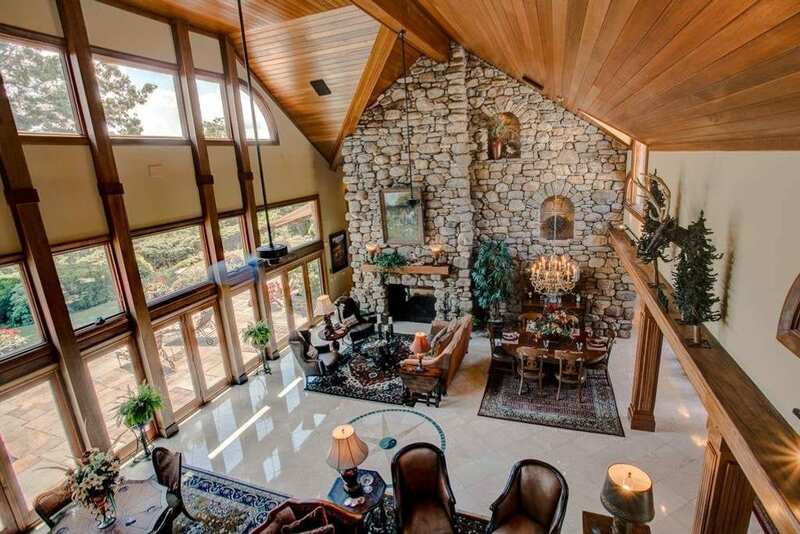 Living large in the mountains is easy with this impressive mansion. 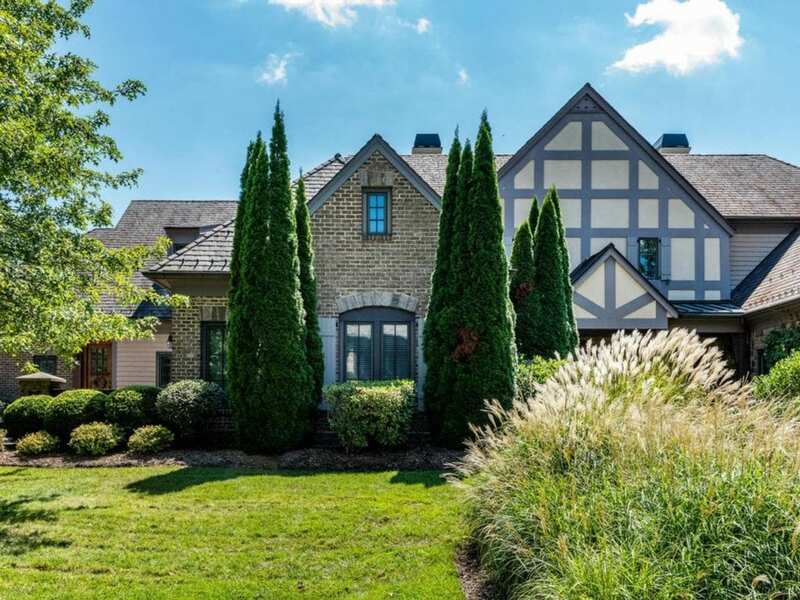 Laurelgate is a private estate sitting on 75 acres of gated property, giving you and your group total privacy. 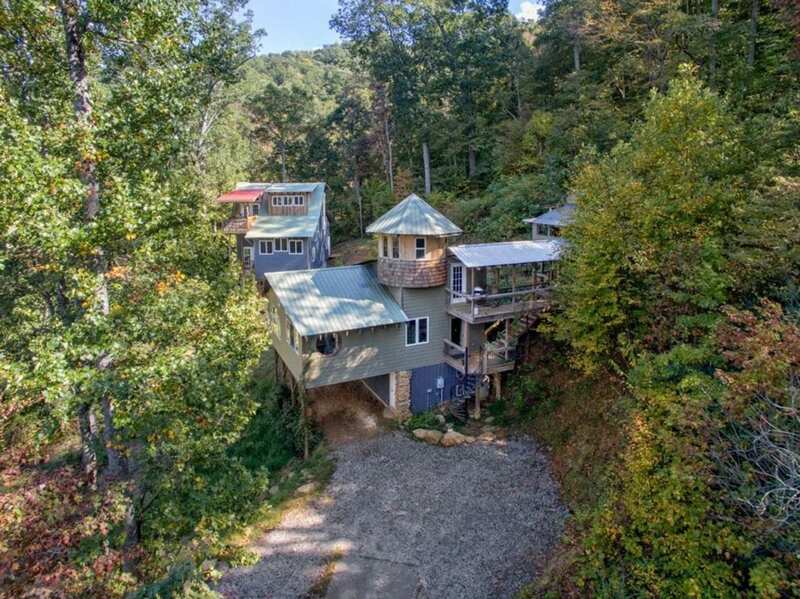 This Asheville rental features plenty of nature paths, activities like tetherball and basketball, and it’s very own petting zoo!! Can you say AMEN-ities? And that’s not all! You’ll also have access to two bars, a private gym, and a putting course, all for $1000/night. You’ve never seen a farm home quite like this one! The Mane House at Canaan Valley Farms gives you the taste of the rural life without any of the labor for $550/night. Horses, chickens, and a donkey named Jezzie welcome you to their home where you can spend time relaxing by the pond or playing ping pong in the sun room. Designed to be rustic yet sleek, you’ll quickly fall in love with the huge windows and chic wallpaper accents. 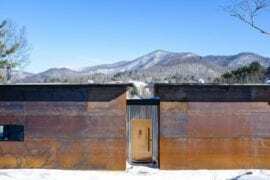 While other luxury Asheville rentals require you to drive thirty minutes or more to reach downtown, this Airbnb is the perfect compromise. 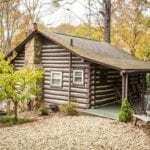 A quick fifteen minute drive outside of Asheville limits will bring you to Stargazer Lodge! 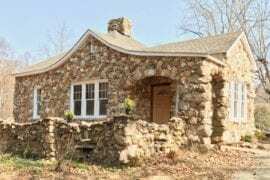 Built in 1949, this modernized hunting lodge holds a lot of character right in the middle of Pisgah National Forest. Marrying the past with the present, this home features native stonework, Kurapayra floors, and stainless steel appliances. For $466/night, spend your days on the property’s hiking trails exploring the creeks and cliffs. Then enjoy your evenings next to the fire pit or on one of the hanging swings. 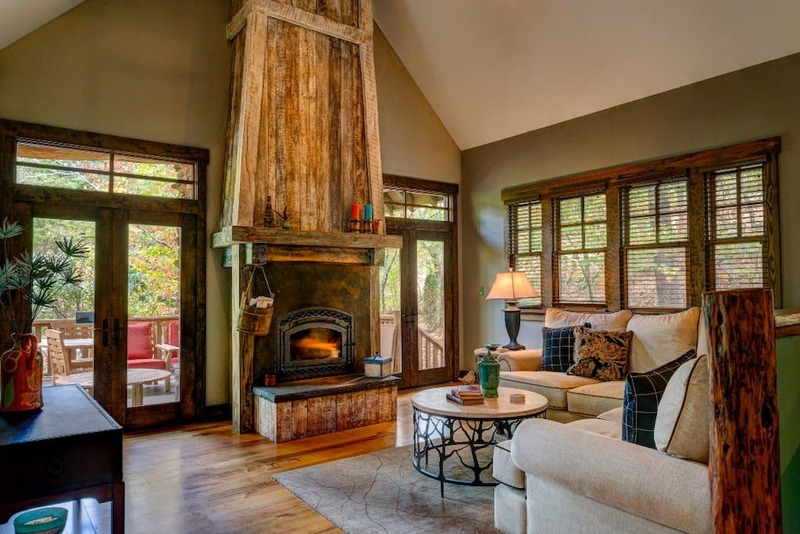 Have you ever wondered what a luxury life in the Blue Ridge Mountains would be like? Well, wonder no more! Chestnut Cove is a private home located in the gated community, Red Wolf Run, available for $575/night. 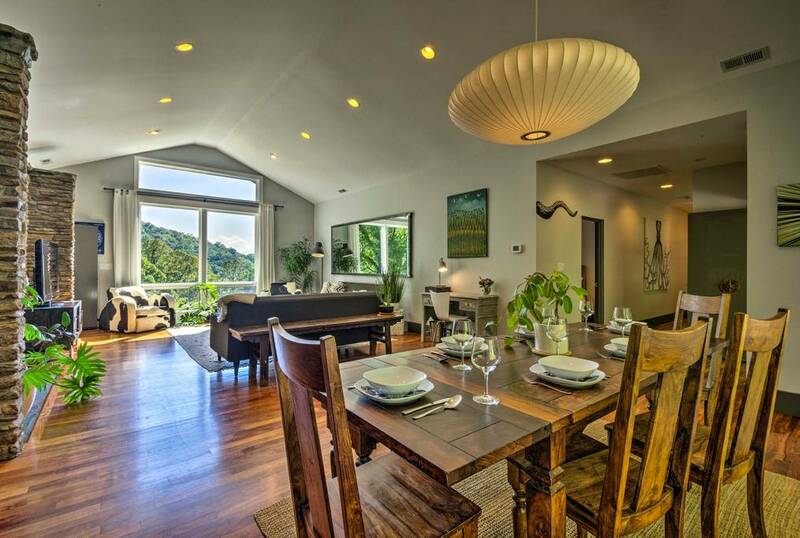 Featuring 70 miles of breathtaking mountain views, a chef’s grade kitchen, high vaulted ceilings, and a luxurious outside entertainment area, this contemporary estate is sure to be your Asheville rental of choice! 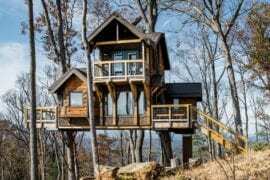 Pouring through countless Asheville rentals but struggling to find the perfect family reunion spot? Having a hard time locating one that can host everyone without cramming yourselves into one house? For $850/night, Laurel Falls is the exact villa you’re looking for! 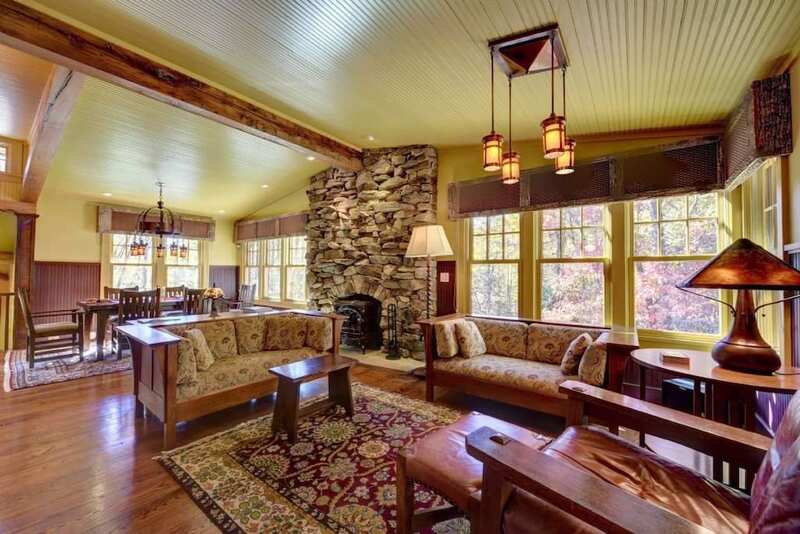 Listed on the National Register of Historic Places, these homes were built in 1924 as a mountain summer retreat by William Nelson Camp Jr. With four separate spacious houses on one property, this estate gives you and your group the optimal amount of privacy while still encouraging group activities like family hikes!